Sweets, bon-bons, sugarplums, sweetmeats. Candy is known by many names the world around and it has delighted people for millennia. The ancient Turks were said to be the first candy makers, using honey and rosewater as their favored ingredients. Later, candy making and selling was the bailiwick of European pharmacists, an occupation that they guarded fiercely. In 1581, Nuremburg pharmacists protested against sugar dealers making candy, and took their case to court. Today pharmacies carry on this tradition of selling candy. Writing this post almost a hundred years later, I have to agree with Mrs. Glover. Even though most candy is inexpensive, there’s something so romantic about creating your own confections. Even the word confection sounds charming. You almost want to don a frilly dress and lace gloves before you say it. Handing around a box of homemade chocolate-enrobed bon-bons after a dinner party is truly an old fashioned delight. The word “confection” comes from Latin word conficere, which means to compound. This is essentially what all candy is: a compound of sugar with other ingredients. 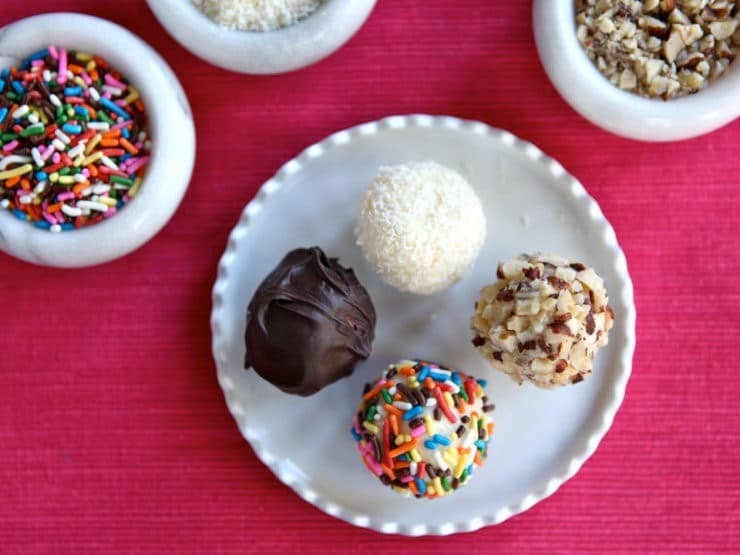 There are countless varieties of confections, but one of the easiest (and in my mind most enjoyable) places to start is with bon-bons, which is the French for “goodies.” Bon-bons are easy to make and lend themselves to a myriad of flavors, recipes, and presentations. 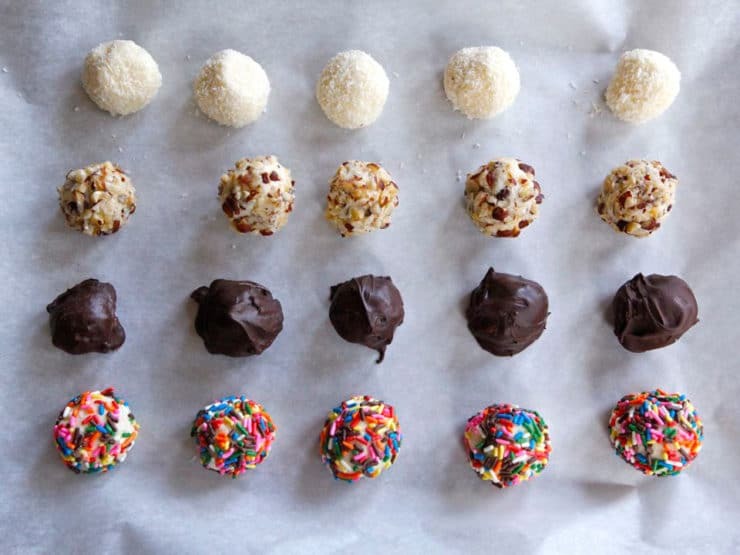 You can makes several flavors at the same time using different types of chocolate for dipping, or roll them in sprinkles, flavorings, nuts, coconut, or preserved fruit. 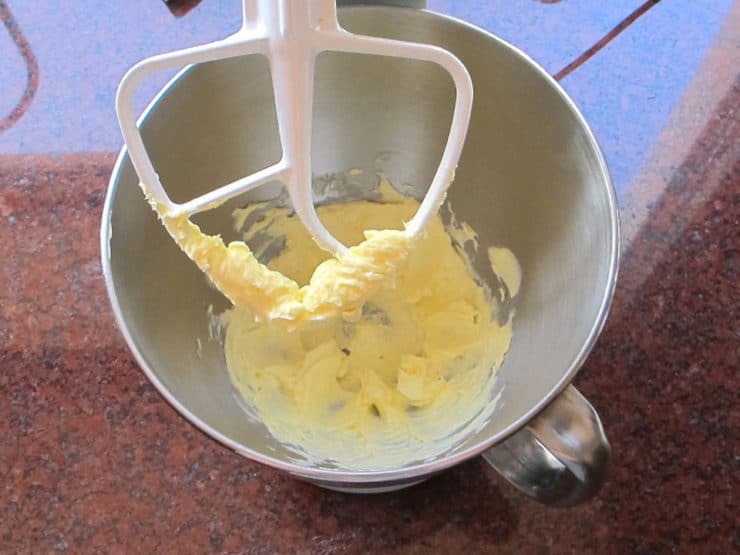 Break into a bowl the white of one or more eggs, according to the quantity you wish to make, and add to it and equal quantity of cold water; then stir in powdered or confectioners’ sugar until you have it stiff enough to mold into shape with the fingers. Flavor with vanilla to taste. After it is formed into balls, cubes or lozenge shapes, place upon plates or waxed paper and put aside to dry. 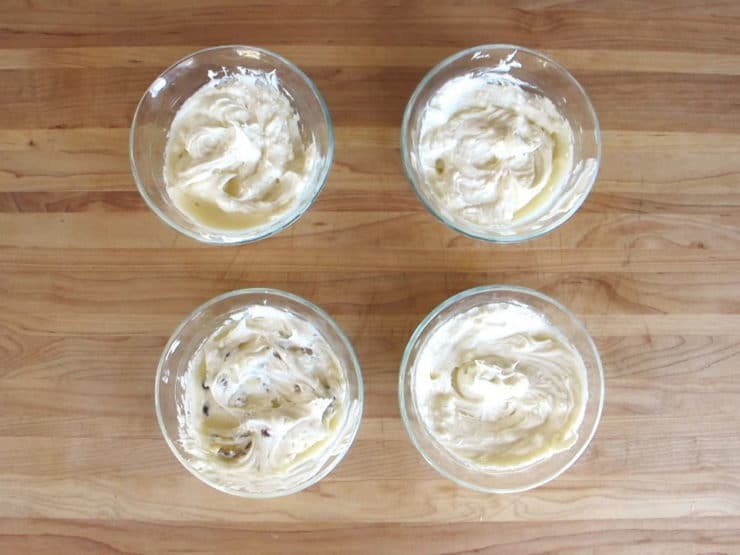 This cream is the foundation of all the French creams. I wasn’t overly enamored with the idea of Mrs. Glover’s recipe, so I looked for a different approach. I found one in a 1953 edition of Irma S. Rombauer’s The Joy of Cooking, which Rombauer assures the reader is “nothing short of seditious.” I’ve simplified the recipe just a bit. The result is absolutely delicious, and really quite simple. What flavor would you like best– chocolate? Sprinkles? Chopped nuts? Coconut, chopped nuts (such as hazelnuts, pecans, or almonds), chopped dried cherries, or sprinkles. Any flavoring, such as maple, mint, coconut or cherry. 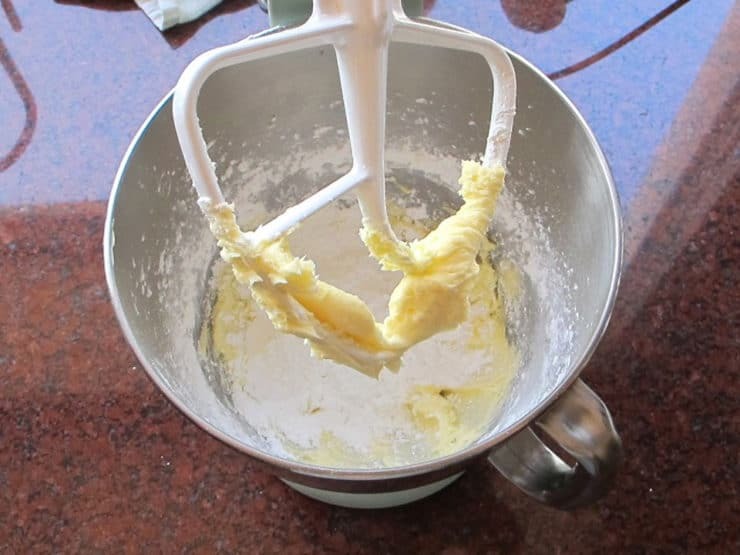 In a standing mixer fit with the paddle attachment, beat the butter until soft. Slowly add the confectioner’s sugar a little at a time to give the butter time to absorb it. You'll also avoid blowing a big mess of sugar all over your kitchen. 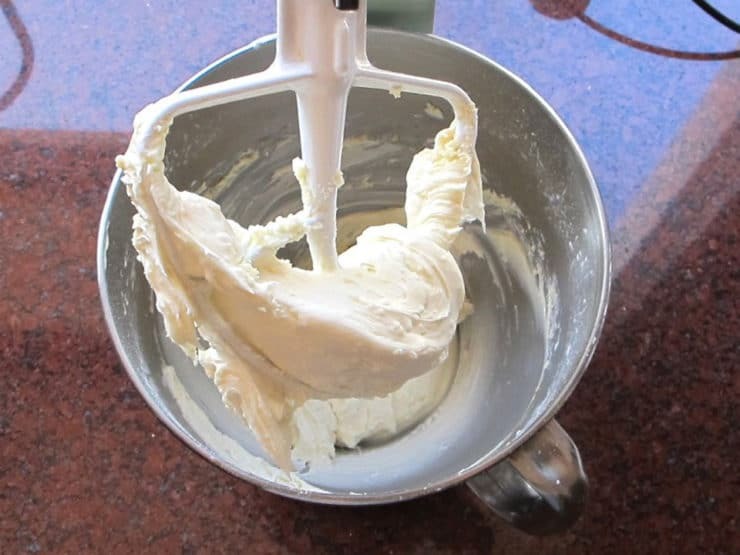 Once the butter and sugar are combined (the mixture will have a somewhat crumbly appearance), add the whipping cream and the vanilla and beat until the mixture comes together. 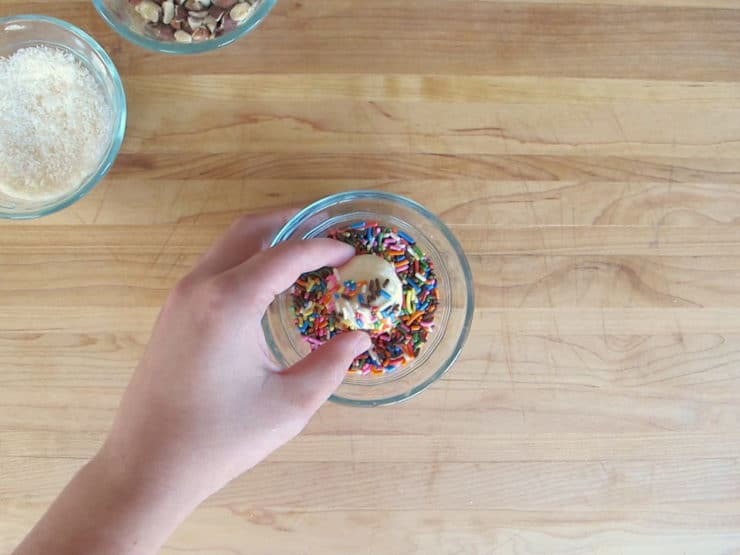 Divide the fondant into four bowls and mix in any additional flavorings you'd like. I mixed some chopped hazelnuts into one bowl of fondant, and about 1/8 tsp of coconut flavoring in another. You can even get creative by adding a small amount of rum or any other liquid flavoring-- just make sure that you don't add too much liquid, or you'll change the texture. Cover the bowls and refrigerate for at least 2 hours. After the fondant has had time to chill, scoop into little balls using a small disher or rounded tablespoon. I lightly sprayed the tablespoon with a cooking spray so that the fondant wouldn't stick. Quickly roll the ball of fondant between your palms so that you get a nice round shape (don't roll too long, though, or they'll melt!). 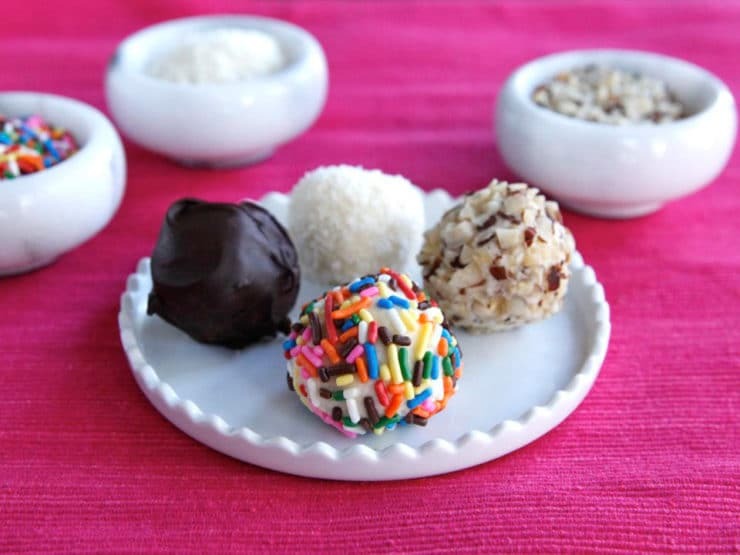 Roll the fondant balls in a bowl filled with your choice of additional toppings and place on parchment or waxed paper. Serve immediately or store in the refrigerator. You can eat these cold or let them warm to room temperature (I like them better cold). 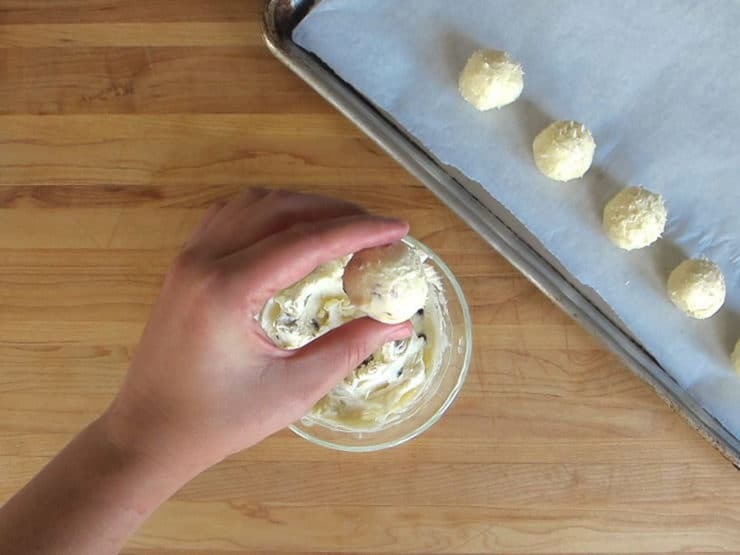 Because these bon-bons are made of butter, they will soften in the heat, so make sure you store them in the refrigerator. You can freeze them to make them even firmer, if you wish. Consume or freeze within 3 days. 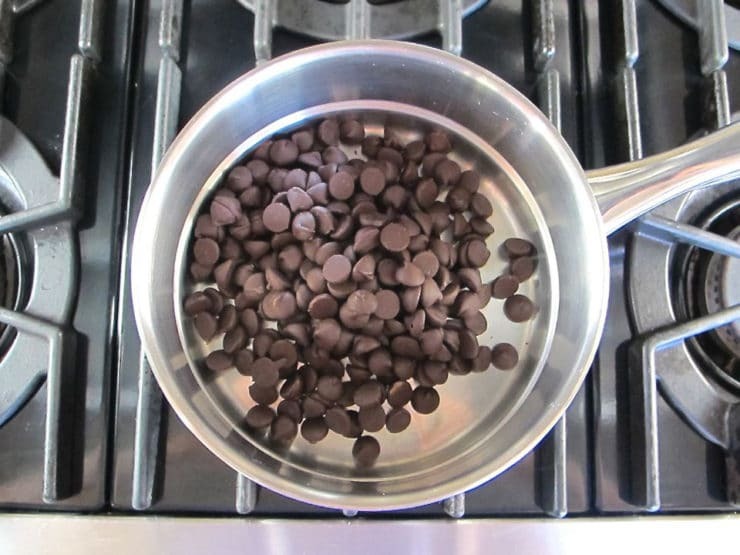 Pour a pound of chocolate chips (dark or milk) into the top of a double boiler or a heat-proof bowl set over a saucepan of simmering water. 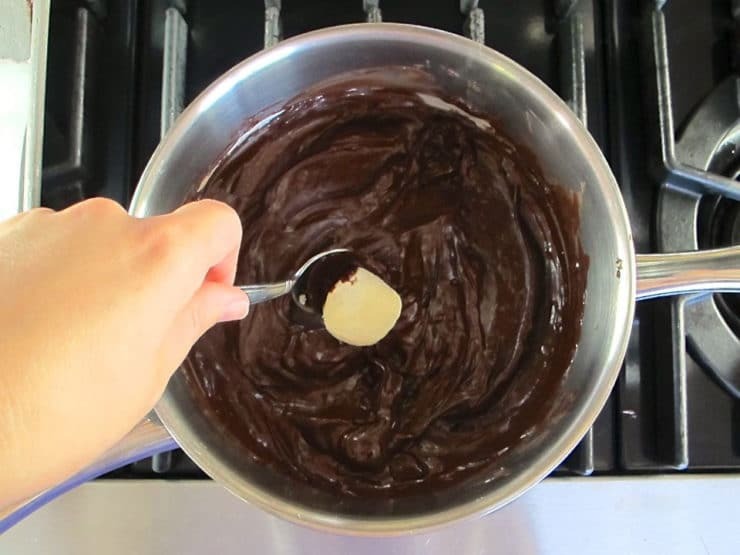 Once the chocolate is melted and glossy, carefully and quickly dip your cold fondant balls into the melted chocolate using a spoon. 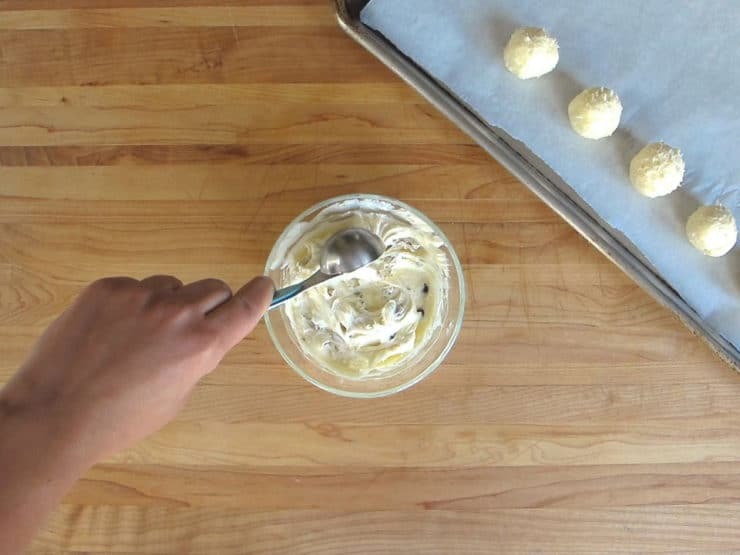 Be sure your fondant balls are very chilled when you dip them, and that the water under the bowl of chocolate remains at a simmer, otherwise you’ll have a sticky mess on your hands. Stand the freshly dipped bonbons on a draining tray or on wax/parchment paper until hardened. Chill before serving. Note: if you are gluten free, choose toppings and confectioner's sugar that are certified GF. 2. If adding anything liquid to the fondant, how much? How much rum? How much vanilla? I think I can guess on the chopped nuts, but I don’t trust myself on the liquids (no experience with fondant) and too much could really be too strong and off-putting. Your guidance may prevent me from wasting a batch. A rough estimate is fine. Thank you so much for any advice and guidance on my questions! Feel free to email separately if needed. My mom used to make bon bons ! Love love love these.. Definitely a easy make so my kids can enjoy helping.. I have the 1953 edition of The Joy of Cooking. It was my mother´s 🙂 You can also roll the fondant around a maraschino cherry or piece of fig and dip in chocolate. I love anything coconut so a chocolate dipped one rolled on coconut would be my favorite. i have a toothache at the moment … delicious !!!!!!!!! Can I test them all first and then decide? you have the best tempting snacks ever!